A leading industry supplier has named its top five events industry tips for events and exhibition organisers in 2019. 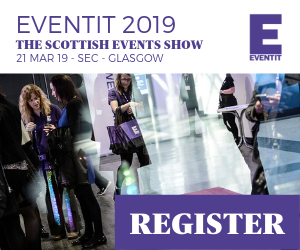 Evolution Dome, an event partner organisation for Scotland’s national events industry show, EventIt, works on some of the most dynamic events in the UK and overseas and has used that position to take the pulse of the industry. In 2018, the company helped over 50 organisers host over 200 events worldwide, from large-scale sporting events to b2b exhibitions; its Inflatable Structures helped event organisers across the global create new experiences and take their events to the next level. For many organisers it can be a challenge to provide seminar content, networking facilities and meetings space live on the show floor. Improving visitor dwell time is a priority for exhibitions and, as a result, organisers are becoming more creative with their contracted hall space. In 2019, that’s set to continue, with many exhibition organisers creating flexible areas which provide a multi-use purpose right in the heart of their show floor. And if you can save money on expensive room hire on top of your hall tenancy then that’s just an added bonus! Getting exhibitors and sponsors to maximise their participation continues to be an ongoing challenge. 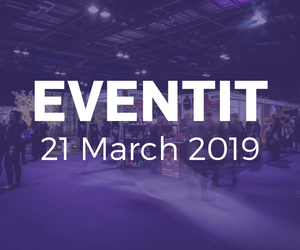 Organisers are looking for new ways to support exhibitors and sponsors to launch products, host meetings and run live demonstrations to provide more interest for attendees and to help generate a new revenue stream and improve the bottom line. At the recent IBTM World, organisers Reed Exhibitions asked us to provide a dome that would give exhibitors the opportunity to host private networking breakfasts and lunches live on the show floor generating a buzz and a sponsorship opportunity. Evolution Dome will provide its inflatable structures as part of the education zone at EventIt 2019. Register now to attend.